Adam Aaronson’s inspiration stems from his enthusiasm for the captured landscape, the quality of light on water, earth and skyline. The fleeting effects of sunset or twilight create a visual imprint or echo in the artist’s work – an ‘Imaginary Landscape’ made up of the seen, emotive and inspirational experience. 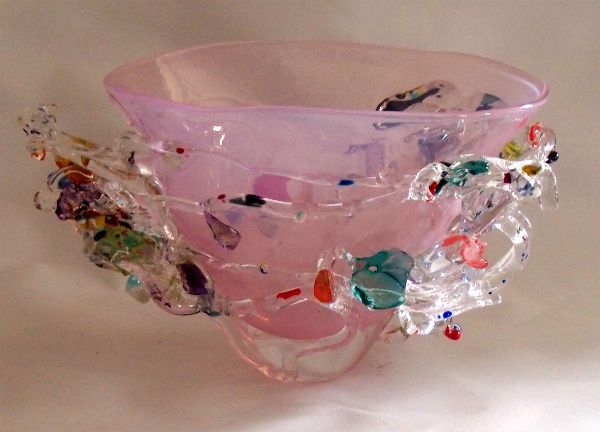 Glass becomes the perfect medium for this kind of illustration, itself an ever-changing landscape in its molten state. In Adam’s “Clouds”, the dynamic of each idea allows for the unexpected; organic shapes, and abstracted landscapes speak to the viewer of a frozen and yet timeless moment.